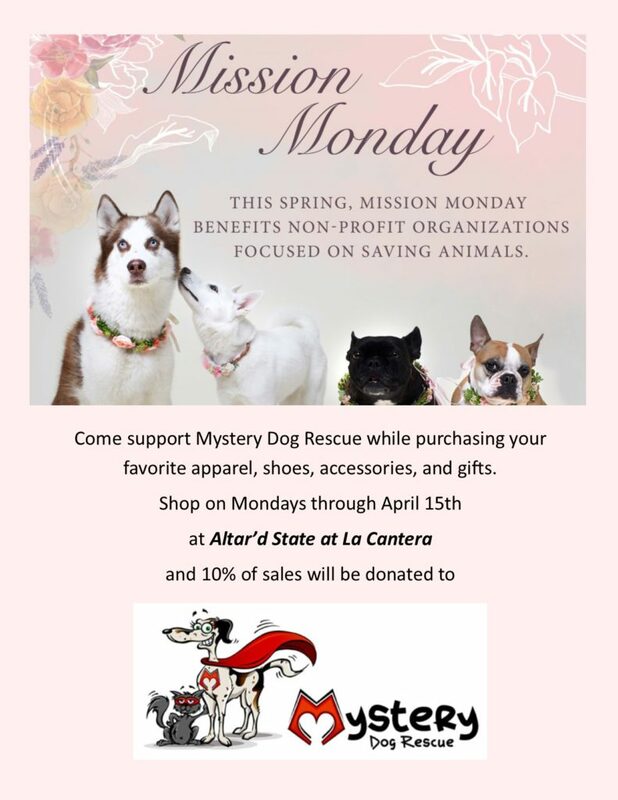 They may come to us as a Mystery, but with your support, the dogs and cats of Mystery Dog Rescue begin to show us their true selves and their love of people. Please help us support the dogs and cats in San Antonio. 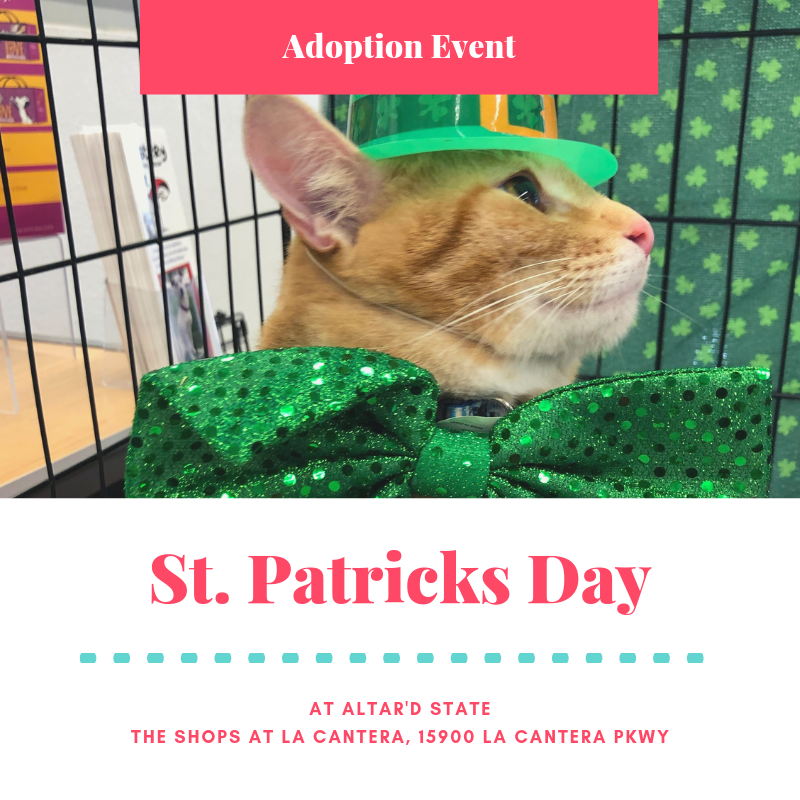 Join us this St. Patricks Day at Altar’d State La Cantera for a special adoption event.